I interrupt this all-Fringe-all-the-time coverage to bring you some theater news that exists outside of the Fringe Festival. Yes it's true, there is non-fringey theater going on in early August, who knew? Last night the Ordway opened their boisterous and gorgeously sung and played production of my favorite Gilbert and Sullivan comedy operetta - The Pirates of Penzance. 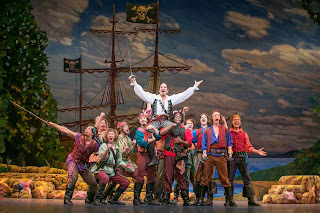 It's an absolutely delightful evening of music-theater, and don't worry, while Fringe ends this weekend these Pirates continue swashbuckling and singing through August 16. 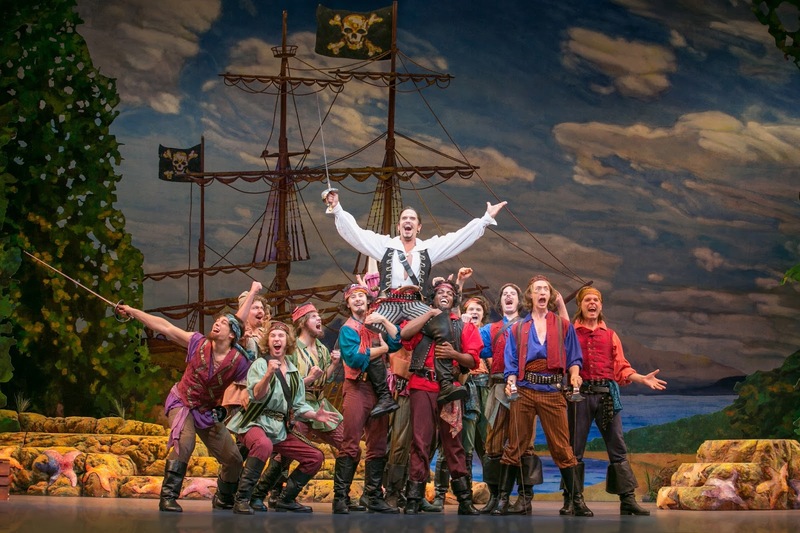 If you're a fan of comedy, fast singing, beautiful music performed by a huge and talented (and mostly local) cast and orchestra, swashbuckling pirates, and math, you don't want to miss this one! And since I've got a 15-show weekend starting in a few hours, I'm going to get right down to it and tell you all the wonderful things about the show. 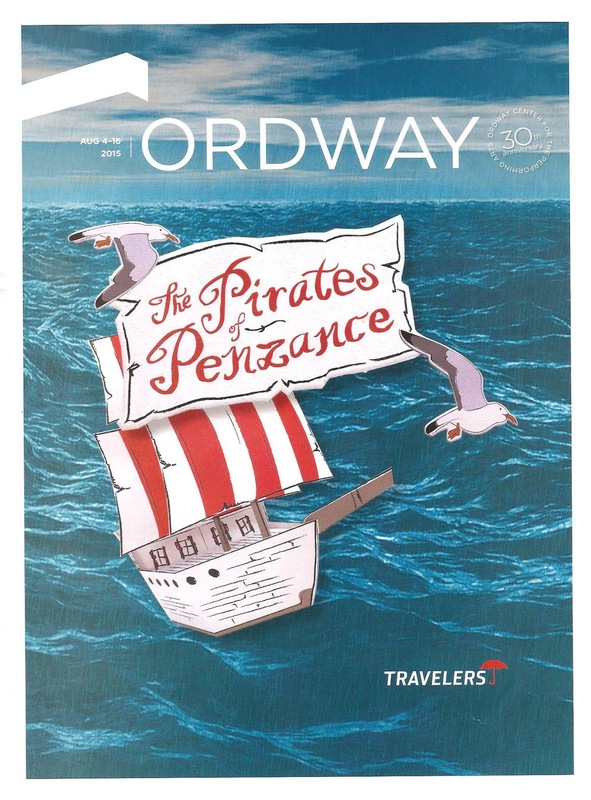 Pirates is one of Gilbert and Sullivan's most popular shows, last seen locally (to my knowledge) at the Guthrie in 2004, which lives in my memory as my favorite Guthrie show ever. The story of a young man accidentally apprenticed to a band of pirates who now wants to leave and fight them is really just an excuse for a bunch of shenanigans, clever rhyming lyrics, and gorgeous music. James Rocco directs the show with much energy and continued movement, and makes great use of the aforementioned stage set-up, with the cast so frequently and fluidly passing around the pit that I feared someone would fall in! James also choreographed the show, and it's so clever and spirited and fun, including much swashbuckling that involves everyone from the conductor to the ladies (fight choreography by Aaron Preusse). It's hard to say who the hero of Pirates is, but I've always been partial to the Pirate King (see also the brilliant Kevin Kline). Broadway actor Brandon O'Neill perfectly embodies the dastardly charm of the leader of this merry band of pirates, with great comedic and vocal chops. As the young lovers at the center of the story, Hunter Ryan Herdlicka and Anne Eisendrath both sing beautifully and share a sweet chemistry. Hunter's glorious rendition of "Oh, Is There Not One Maiden Breast?" made me swoon (as always), and Anne impeccably accomplishes Mabel's vocal tricks. There are plenty of local faves in the cast too, including Gary Briggle, a delight as the fast-singing pompous Major-General; Kersten Rodau, a perfect choice for dear Ruth; Dieter Bierbrauer, very funny as the cowardly Sergeant; and a bevy of lovely ladies, highlighted by the sprightly Caroline Innerbichler. The entire ensemble is magnificent. As much as I rave about the orchestra, there are a couple of a capella moments in which the voices of the cast just soar and give you chills. 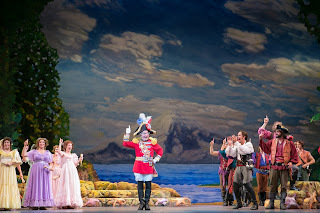 Tom Struge's scenic design is playful, colorful, and almost cartoonish. The audience cheered as the pirate ship emerged teeming with pirates. Lynda L. Salsbury's costume design is just as colorful and playful, from the ladies' pastel flowy dresses and nightgowns, to the crisp police uniforms, to the pirates, who look just as you imagine pirates do. This is the Ordway's second original production this summer, after Damn Yankees, and I couldn't be happier about this trend. Next season includes local productions of The Sound of Music and A Chorus Line. 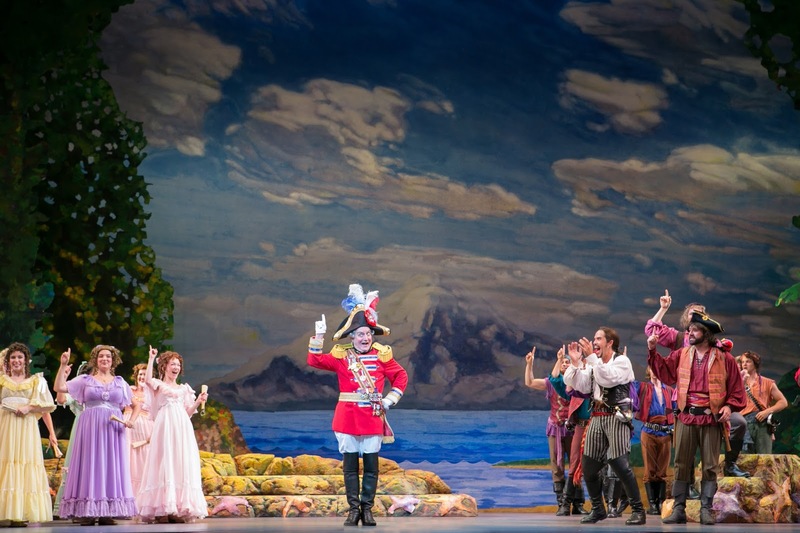 It's fantastic to see our fabulous local talent up on the big stage, and The Pirates of Penzance is a great example of the gorgeousness that can be accomplished with this model of combining local talent with national talent and the highest production values. Long story short - go see it! Now if you'll excuse me, I'm off to Fringe!